Every coffee manufacturing application requires individual roasting processes for optimized flavor and bean proper ties. The Roast Master adapts to your needs and offers a maximum of process flexibility. It inspires your product innovations with traditional and with more sophisticated multi-step roasting profiles. 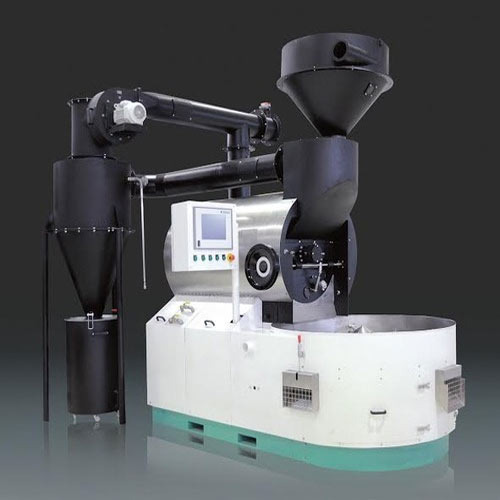 The proven drum roasting technology of the Roast Master 6O ensures a reliable, efficient and safe roasting operation. The optimized degree of roast, the roasting time and the roasting profile must be precisely reproduced for consistently high quality coffee products. The multi step process of the Roast Master 6o allows for optimized flavor creation for any coffee blend and varieties and ensures excellent consistency. The user-friendly operating panel includes a Siemens PLC and a Windows panel PC with 12.5 inch touch screen for full process automation and easy operation.